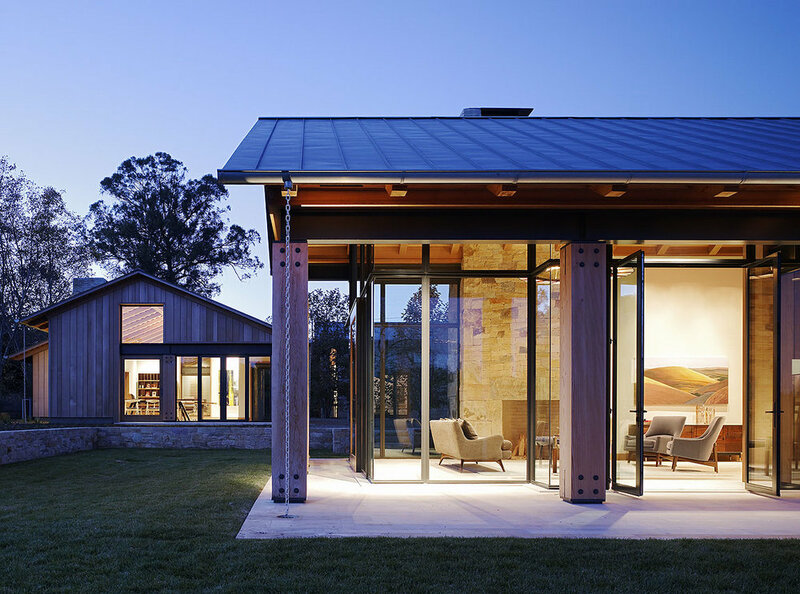 Set against California’s rolling green hills, the home offers a classic example of seamless indoor/ outdoor California living. 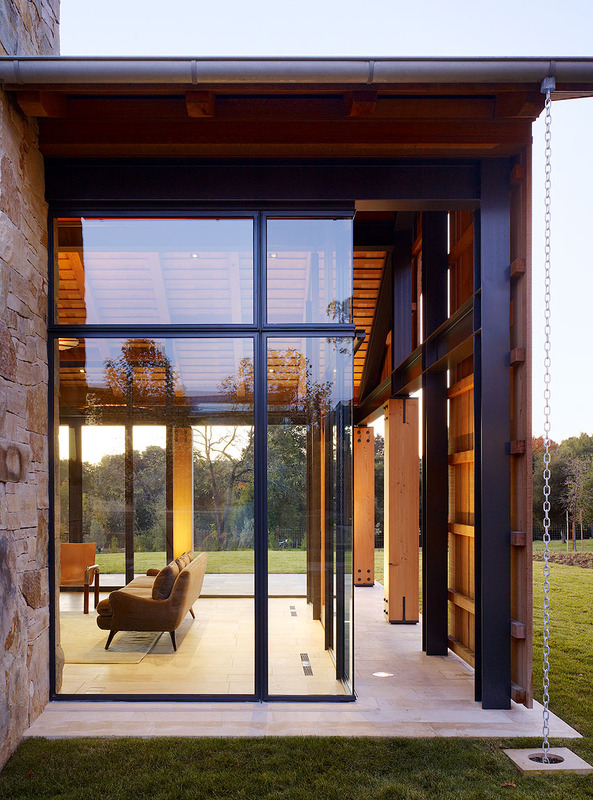 The interior textiles and architectural materials play off the tones, scale, and textures of each other, creating a particularly potent moment at the threshold of the home. The living areas on that first floor seem to have only the faintest delineation between interior and exterior as the stone used on the facade is brought inside, and notably used at the same scale. Careful control of this material palette allows the scale and play of these textures to shift and shrink as you move through the home, creating an intimacy in the interior rooms of the home where you would want it most.